Utilize Our Talented M Certified Technicians Today! It doesn’t matter if you have BMW X3 M40i or a BMW M3, eventually, you will need to maintenance your car. When this happens, take it to our service center. There, our BMW dealership employs a whole team of automotive specialists that understand the ins and outs of your BMW. 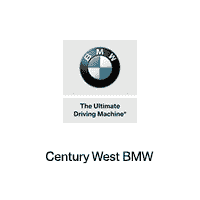 If you have a BMW in the Studio City area then do yourself a favor and take it to our shop. Other auto service shops may offer lower rates for service but they tend to use conventional auto parts. Our service center uses quality OEM parts because they tend to last longer and they are specifically engineered for your vehicle. At the end of the day, when you use these parts to repair your BMW, it tends to cost less because you won’t have to service your BMW as frequently. If you are interested in receiving quality service from a team of trained professionals, call or stop by our dealership today. One of our friendly customer service representatives will greet you with a handshake and a smile. They might even be able to point you in the direction of a few service specials. These specials can help you save money in the BMW repair process so you have a bit more cash to do the things that you love. 0 comment(s) so far on Where Can I Repair My BMW M Model around Studio City?